President Obama delivered the State of the Union speech last night for 2011. I've created a few diagrams that compare it with the speech from last year to try and understand how it differs. 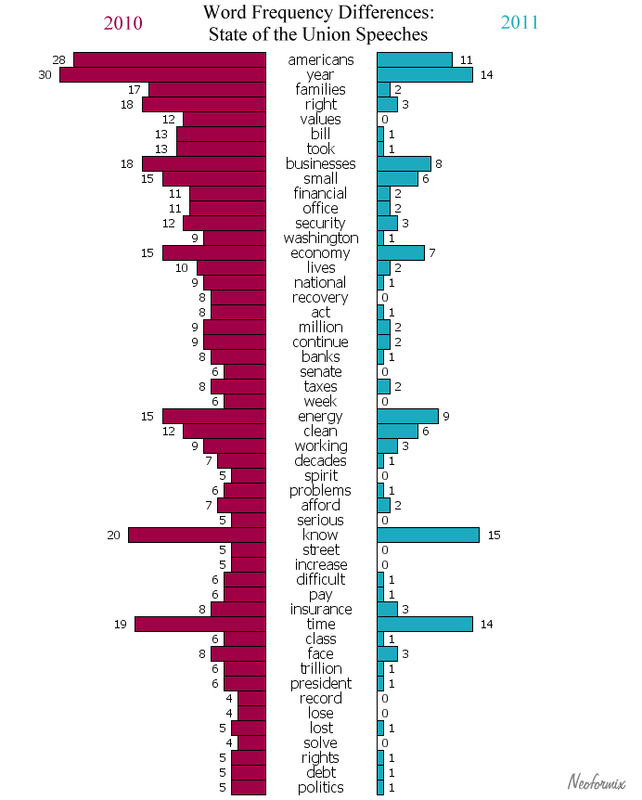 First we have two Sentence Bar Diagrams for the speeches from 2010 and 2011. Sentence Bar diagrams use color coding to show the topic of the various sentences in the text and bar length to show how long the sentences are. In these diagrams I did combine adjacent pairs of sentences so it wouldn't be too long. These two texts are almost the same length, have a very similar breakdown over the four topics, and both have a segment towards the end about security issues. 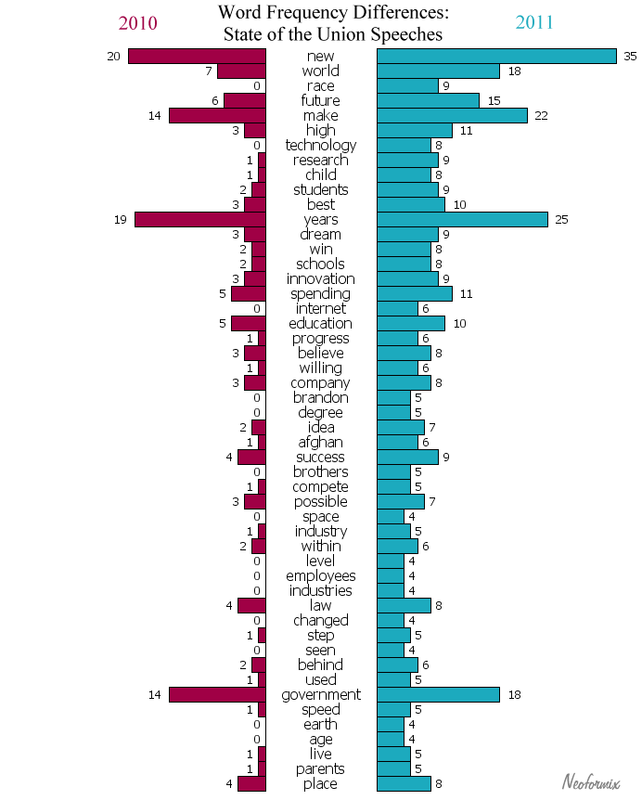 The 2011 speech has slightly more emphasis on the domestic issues of education and less on economic matters. This next diagram shows the words that were used much more frequently in 2010 vs 2011. For example, the word 'families' - the third down the list, was used 17 times in 2010 but only 2 times in 2011. 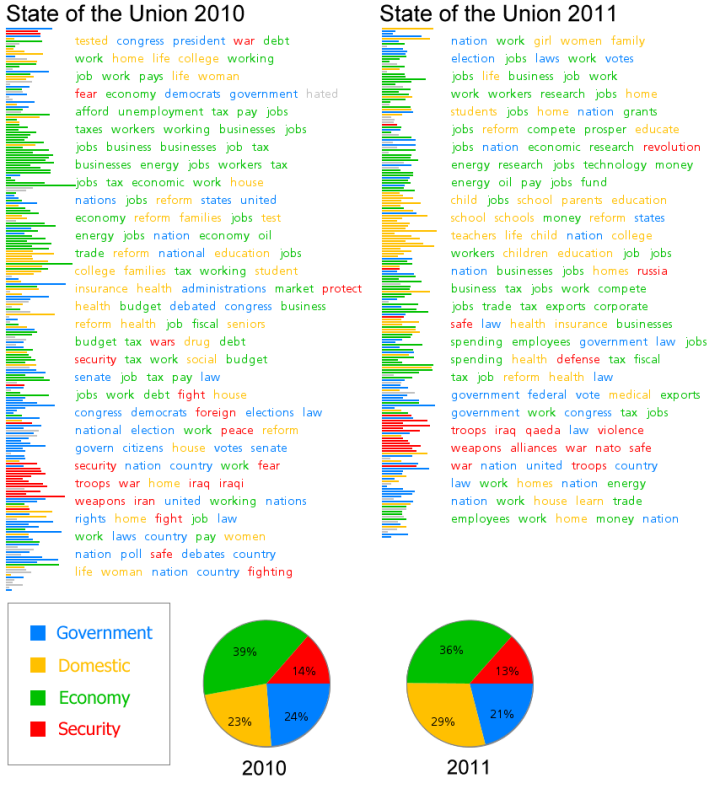 Other prominent words from last year compared to this year: bill, businesses, security, national, recovery, act, banks, energy, and insurance. 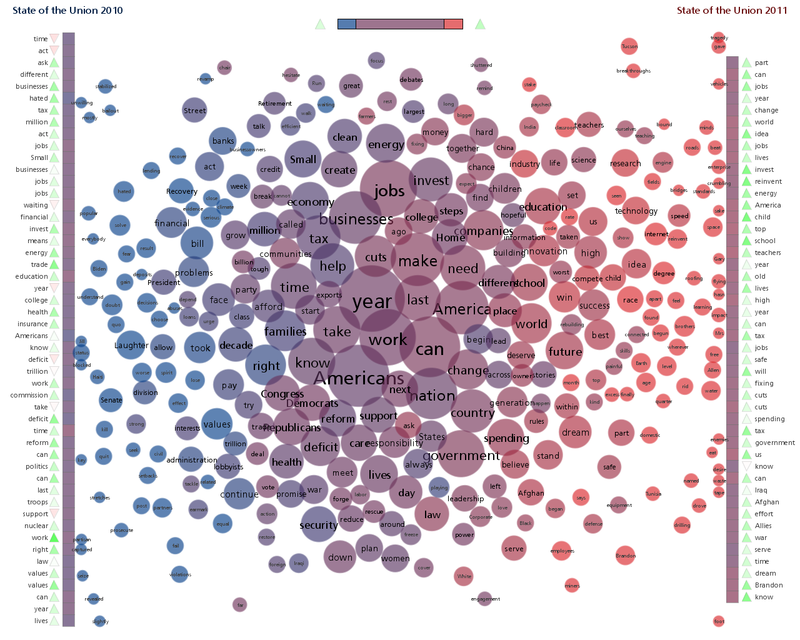 This one below shows the words used much more often this year than last year: new, world, race, future, high, technology, research, education, progress, and innovation. Finally, we have a Document Contrast Diagram comparing the two speeches.